LEED (Leadership in Energy and Environmental Design) is a third-party certification program that sets standards and applies ratings for the design, construction, operation and maintenance of buildings. 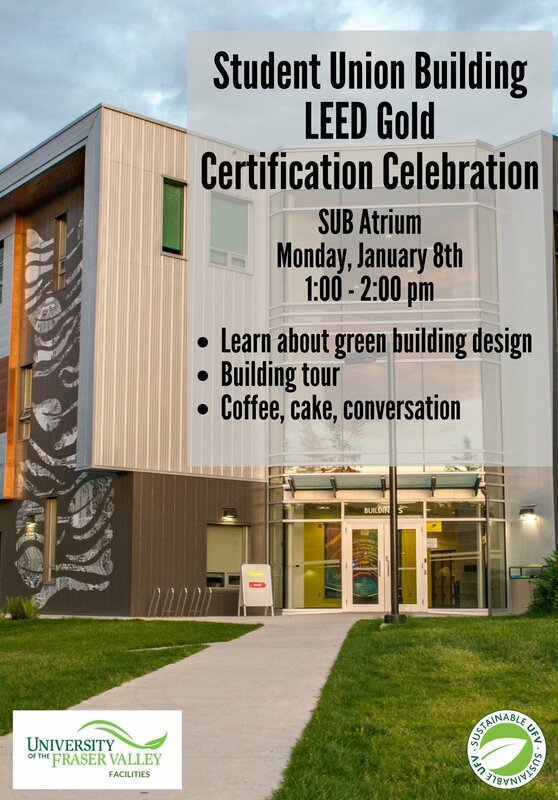 The SUB is LEED Gold certified, the second highest certification, focused on sourcing regional construction materials, increasing energy efficiency, reducing waste water, and designing an inviting and healthy space. 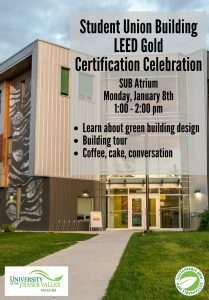 Join us for speeches from Campus Planning, the Project Office and Facilities, a building tour, and stimulating conversation over coffee and cake as the plaque is unveiled.